Length: 2 hours. 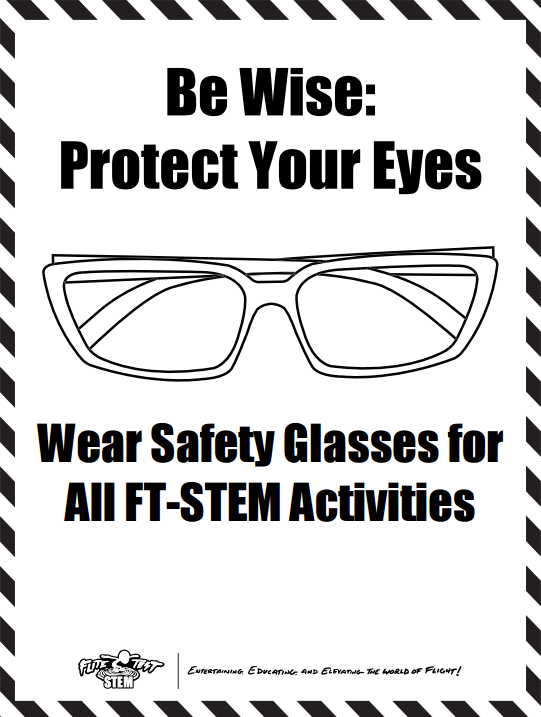 Lesson designed to establish safety awareness while implementing FT STEM within the classroom. 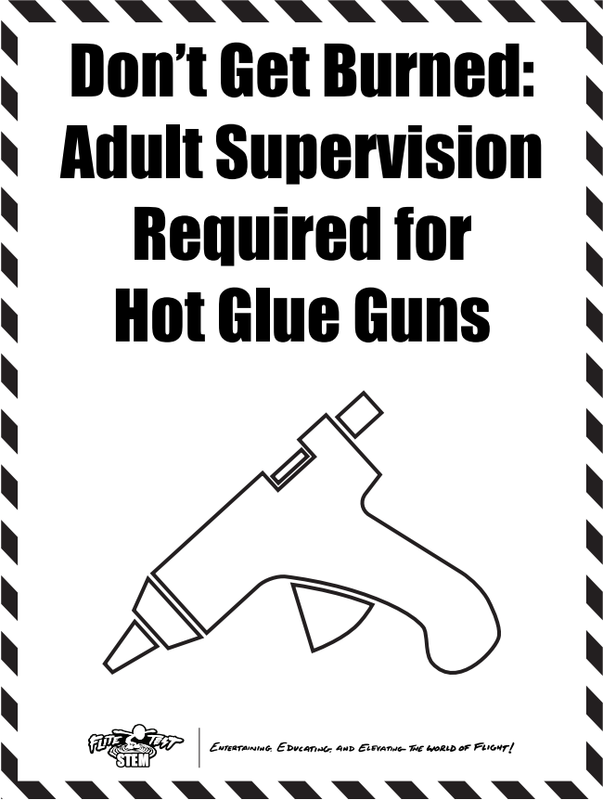 TEACHER NOTE: The following lesson is designed to create an awareness of safety within your classroom environment. 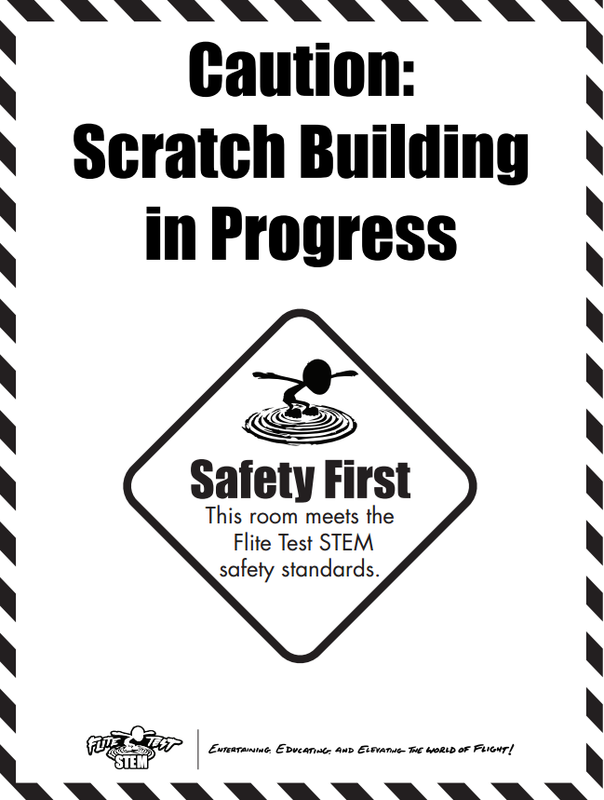 It is imperative for students to adhere to the safety standards by working to create a classroom set of norms to be used within the Flite Test Curriculum as well as any classroom-based projects. 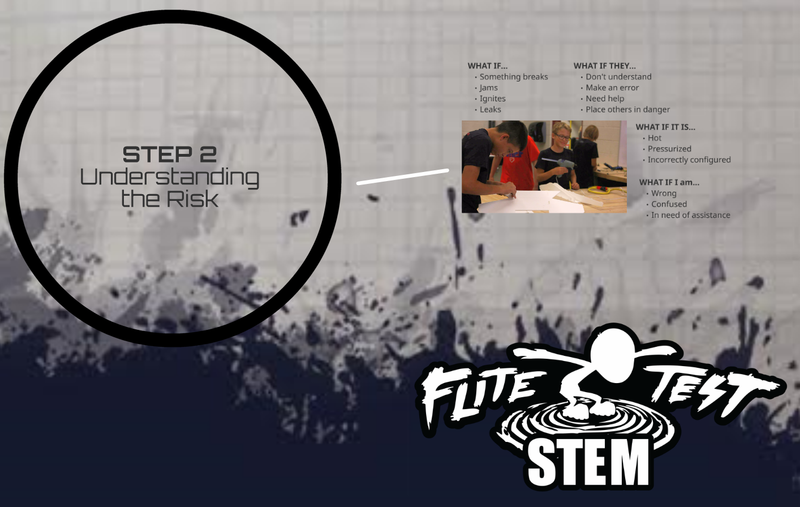 If a structure is already in place, add to it, or help students connect the current safety structure to the Flite Test STEM Curriculum. 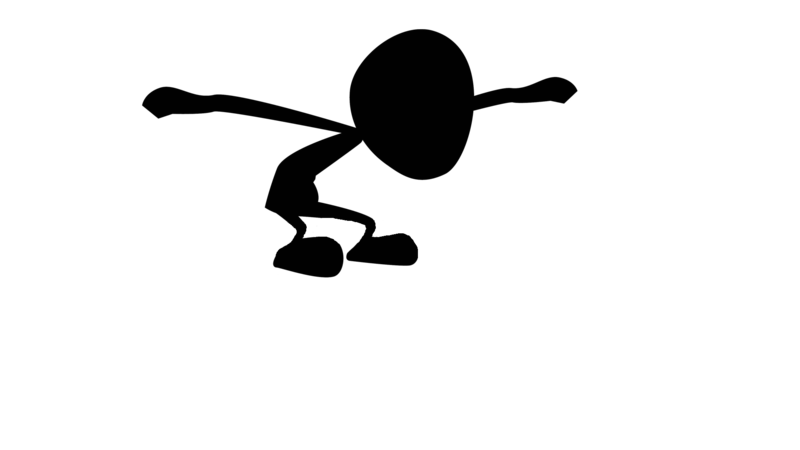 Introduce the concept of safety and how it can make an environment more productive. 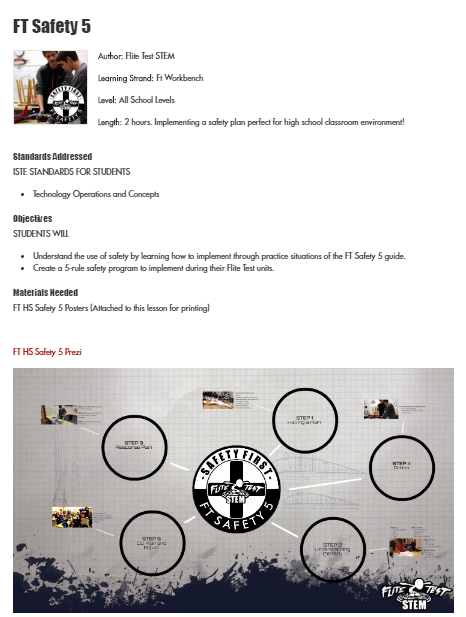 See FT Safety 5 for literature around a basic safety concept. 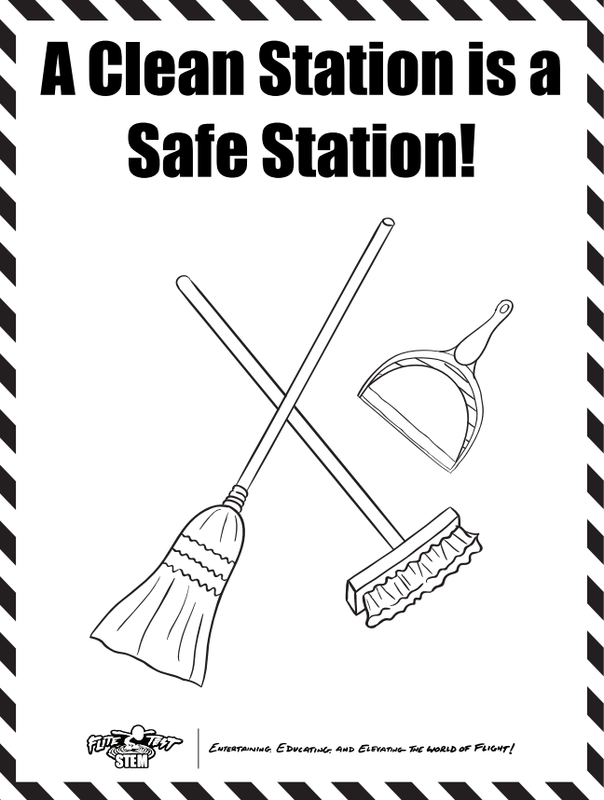 Introduce the FT-Safety Posters (Attached to this lesson for printing), and state their obvious meanings. 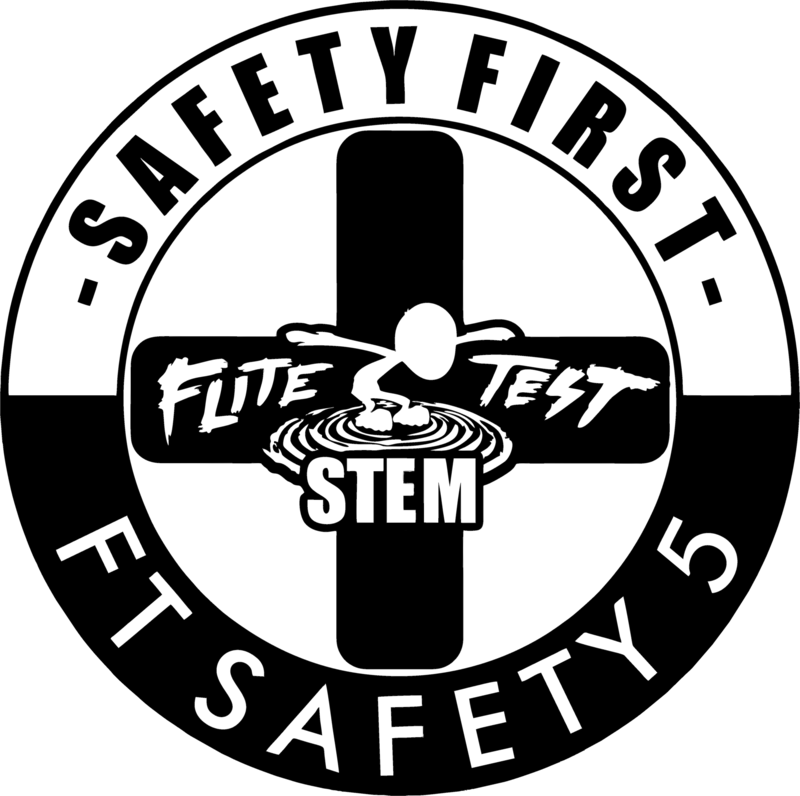 TEACHER NOTE: Guide the students to create 5 norms for safety when working on Flite Test Curriculum or equivalent. 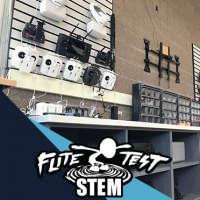 With the Flite Test work area complete, have the students create 5 or more norms to follow for the rest of the school year. 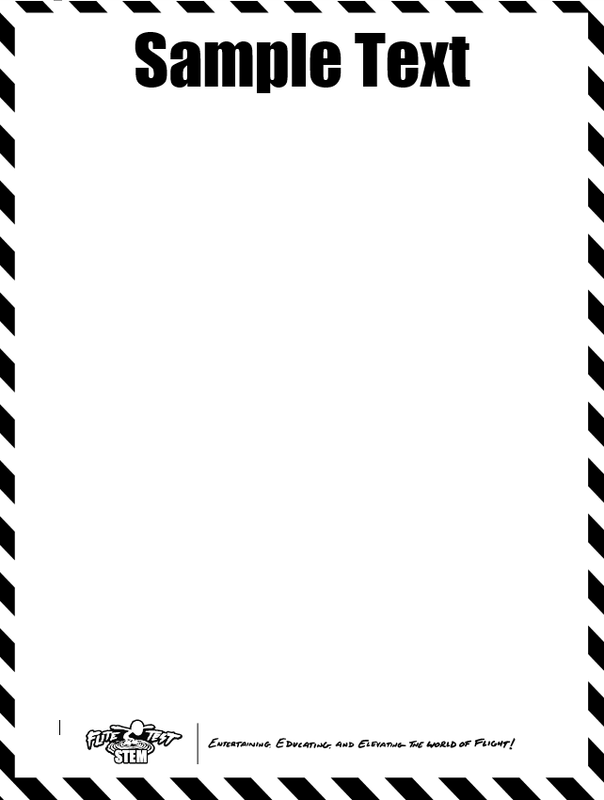 Some possible norms to include on a poster, use the Flite Test stickers as an option for decorating. It is okay to fail and struggle in order to succeed. 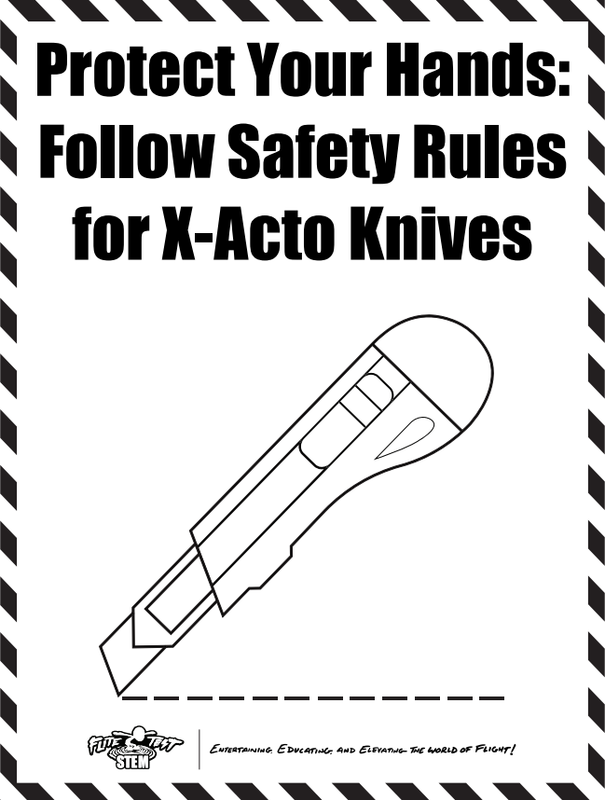 Cutting procedures using X-Acto Knives.